Hey, you picnic lovers grab the natural beauty of Mussoorie Lake which is just 6 kms away from Mussoorie. Though it is newly designed picnic spot but the hub of tourists as pedalled boating facility is offered by this lake where you can get the picturesque view of Doon Valley and nearby villages. It is one of the most beautiful tourist places which is located just 7 kms away from Mussoorie where you can enjoy the bathing and water amusements in various ponds and small lakes. Another popular picnic spot nearby Mussoorie that can give you a memorable experience is Company Garden. It is basically a well-furnished municipal garden which is just 3 kms away from The Mall. You can avail the view of Mini lake, an amusements park and small flower garden @Company Garden. Probably you’ve heard about the first Surveyor General of India i.e. Sir George Everest House. The house of Sir George Everest is situated just 6 kms away from Mussoorie. Here you can find the enthralling views of Doon Valley and Mussoorie. This place is really exceptional for picnic. Grab the opportunity of beautiful trekking @beautiful place like Jharipani Fall. The Gun Hill is another place to visit in Mussoorie that provides you a scenic view of the city and extensive view of Himalayas. 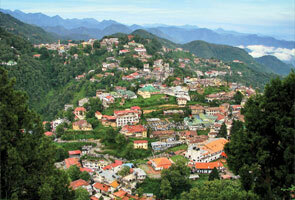 You can choose this place as a picnic spot because this is the second highest point in Mussoorie. Are you in love with the divine beauty of nature or trekking is your ultimate destination? Guys, here is the place Nag Tibba, that can left you a memory for your entire life. This place is around 55 kms away from Mussoorie and gives you a splendid view of Garhwali hills, dense forests, and villages. 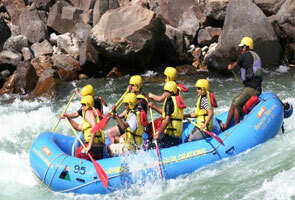 As one of the hub of tourists, Lake Mist is situated just 5km away from Kempty Falls and 10 kms from Mussoorie. Here you can find the numbers of numerous hotels and resorts with several restaurants. This place is acknowledged as the most crowded places of Mussoorie where thousands of tourist comes every year and this is the reason why numerous hotels, resorts and restaurants are available here to provide the customers, best accommodation package. Price and Facilities will vary hotels to hotels. This road is expanded in 4kms and therefore an apt place for horse riding and long walk. From this place you can get the ultimate view of sunset. The one end of this road is Rink @Kulri Bazar and other end is at library Bazar. Jwalaji Temple has also reorganization as Benog Hill. 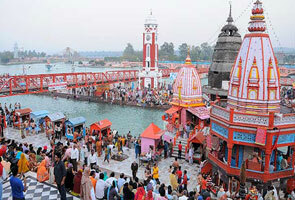 It is located 9kms west of Mussoorie and can give you a spectacular view of Yamuna Valley. You can find thick forest surrounding of this temple. It is one of the ancient temples situated on Cart Mackenjee road and dedicated to Lord Shiva. It is in the way of Dehradun and only 5kms away from Mussoorie. 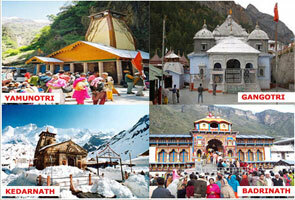 From this temple you can get the exceptional view of Doon Valley and Mussoorie. If you’re looking for the most ideal destinations of Yoga, religious practices and meditation rituals, the Sri Chamunda Peeth Temple could be a right choice for you.